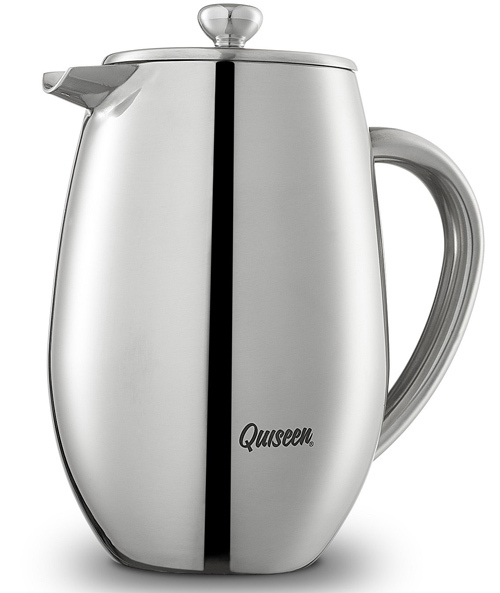 This is a very high quality model, and easily makes my list as one of the best french press coffee makers I’ve tried. 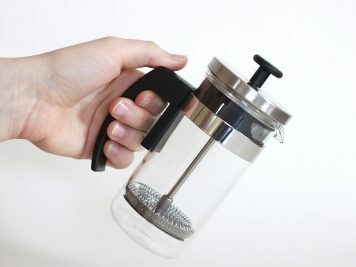 What makes the Vivreal French Press better than the most coffee makers is the filter system. 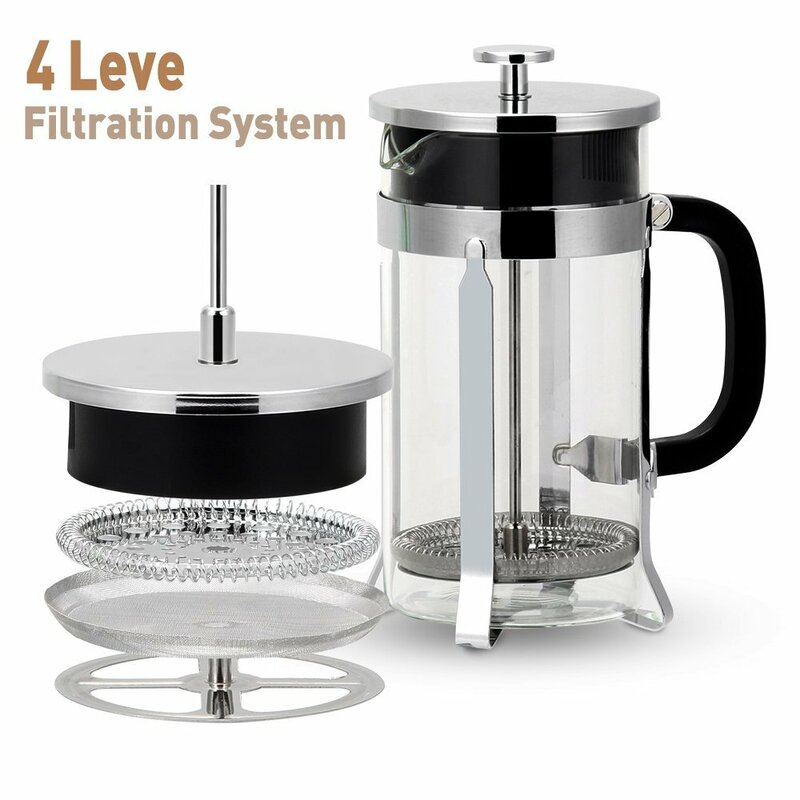 Its unique four leve filter system and lid yields a richly flavored, grit-free cup every time. 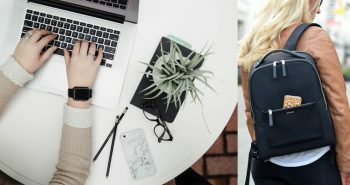 The design includes stainless steel and a new generation glass that is 40% thicker than standard coffee makers, which can resists chips, stains and scratches. 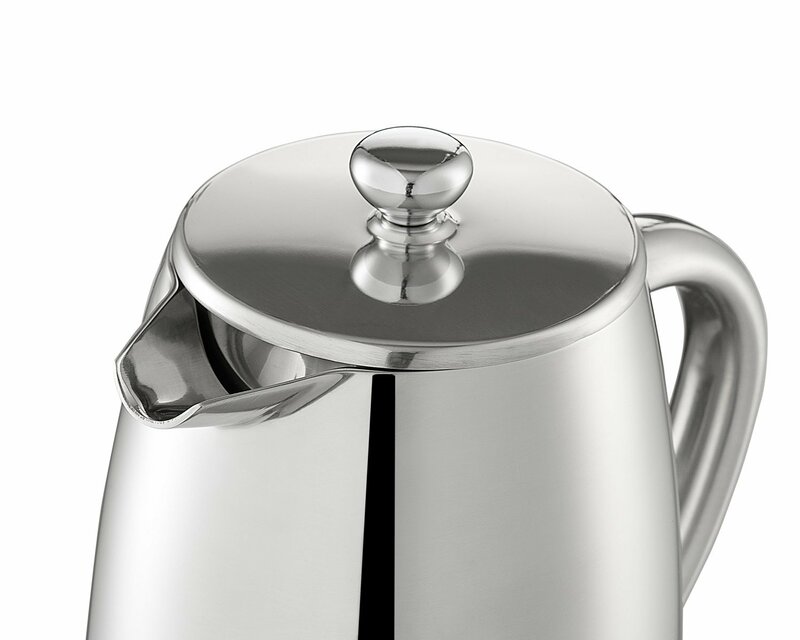 The carafe has a heat resistant up to 392 Fahrenheit. It’s FDA certificated as a food grade premium quality. The only downside to this model is that the coffee will not stay hot for too long. 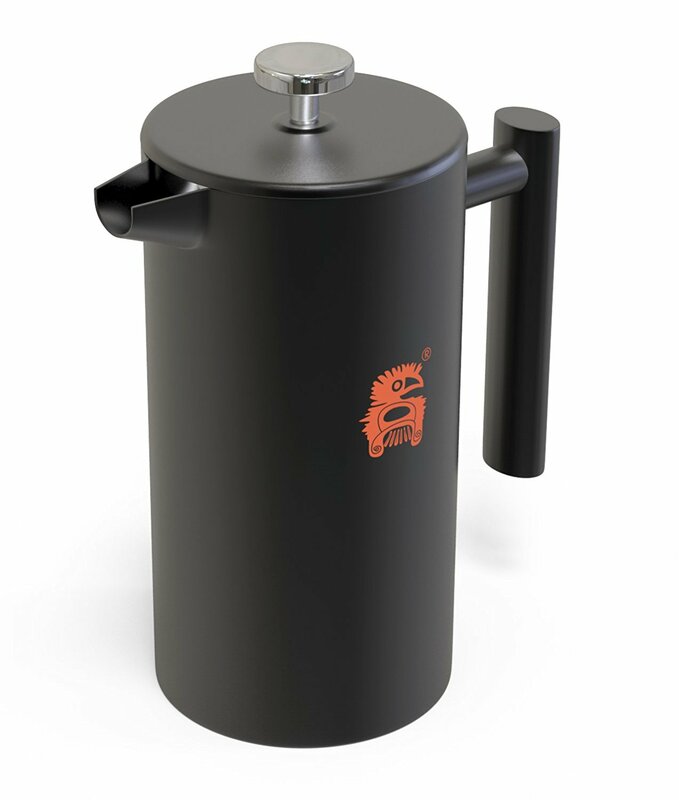 As you will see from some of the other best french press coffee marker models I have suggested, I have grown to love the kettle version more, as it allows the coffee to stay warm longer. However, this is a minor complaint. 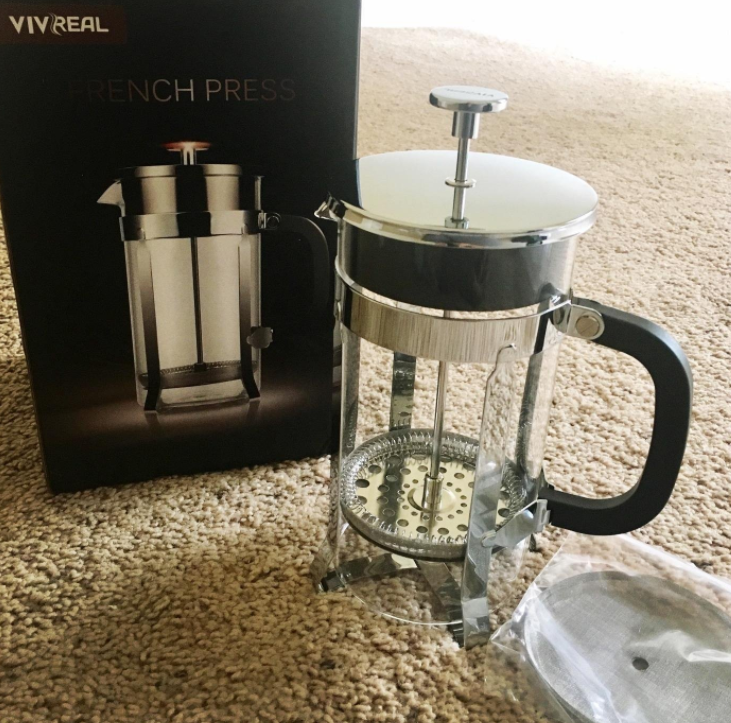 The Vivreal Home French Press Coffee Maker has over 100+ five star reviews a trendy model. Not everyone is looking to serve coffee to a group of people or drink 2 to 3 cups a day. Some people are also not huge coffee drinkers but do enjoy one cup of coffee before getting ready for work in mornings or on the weekends. 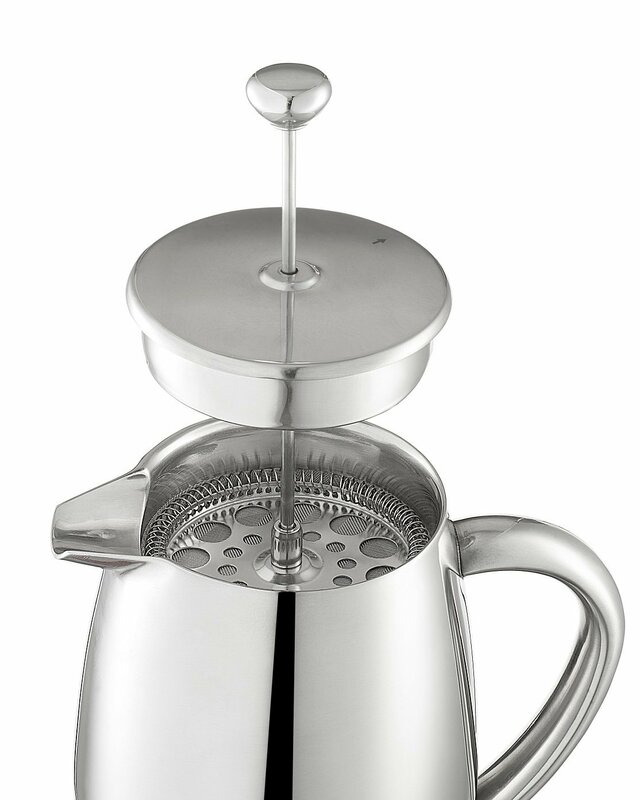 Brillante makes one of the best French Press coffee maker designs for singles. 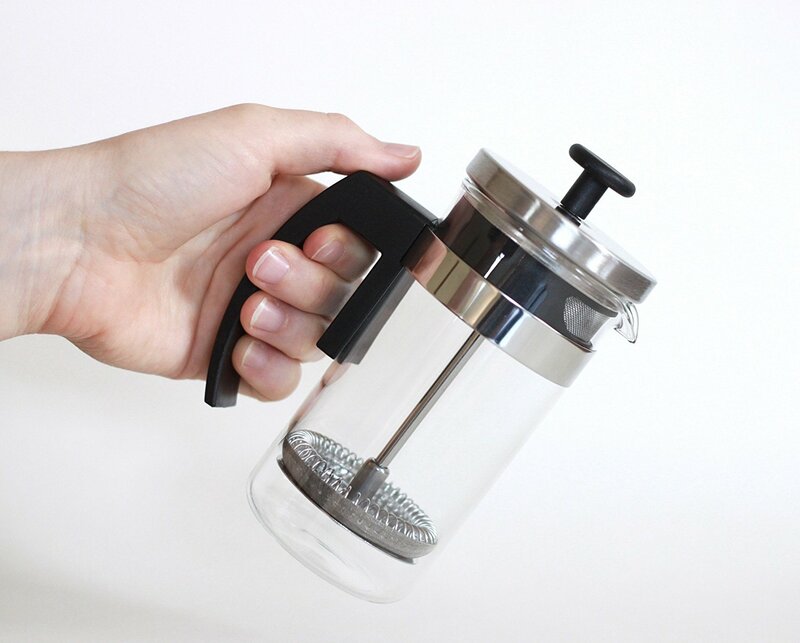 They call it a mini French Press that is perfect for one cup. I have heard this model is perfect for offices that serve gross instant coffee. 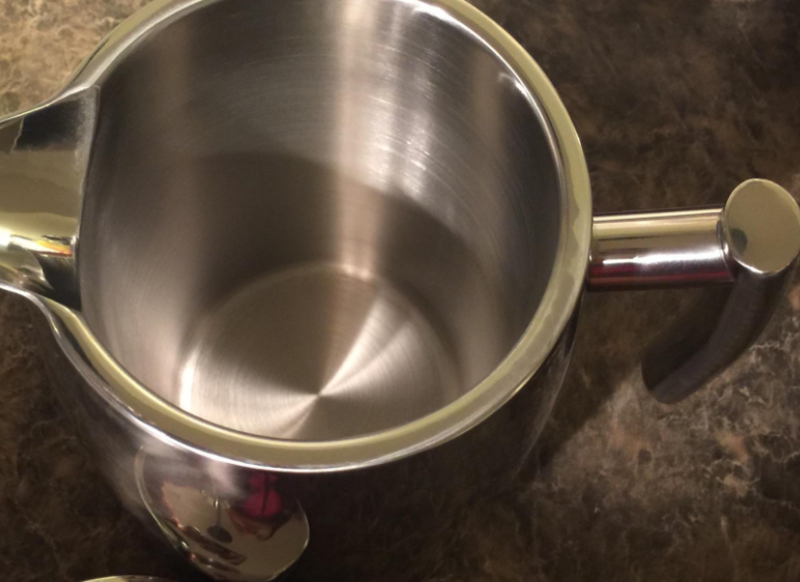 People will take these mini french press’s to work and easily brew their coffee. 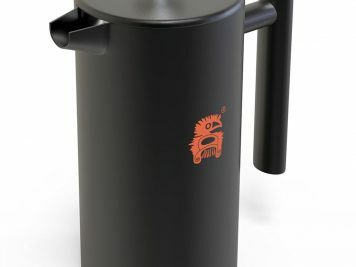 As you can see from the designs, this French Press is quite small but packs a punch, brewing excellent, flavorful coffee. 12 ounce (350ml) capacity make this a good coffee press for one-mug brews whether you are at home or traveling. This is a more modern style. I’m including this model on my best french press coffee marker list as a local restuarant started using these as apart of their menu. 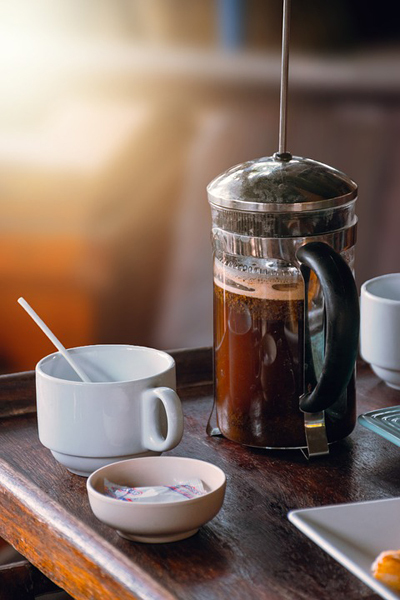 If two or more people ordered coffee, they would bring you your own French Press. I got to sample this example model and really liked it. 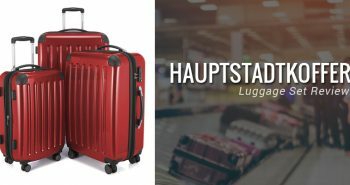 I found the filter systm to be above average and the consensus review on Amazon was that this model was strudy and would last a long time. 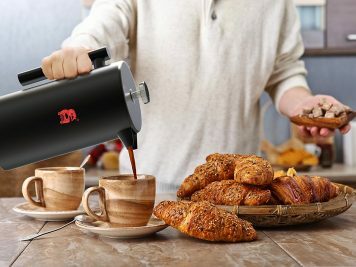 This French coffee maker features double walls to help keep your coffee hot and fresh for long without making the outside too hot to handle. 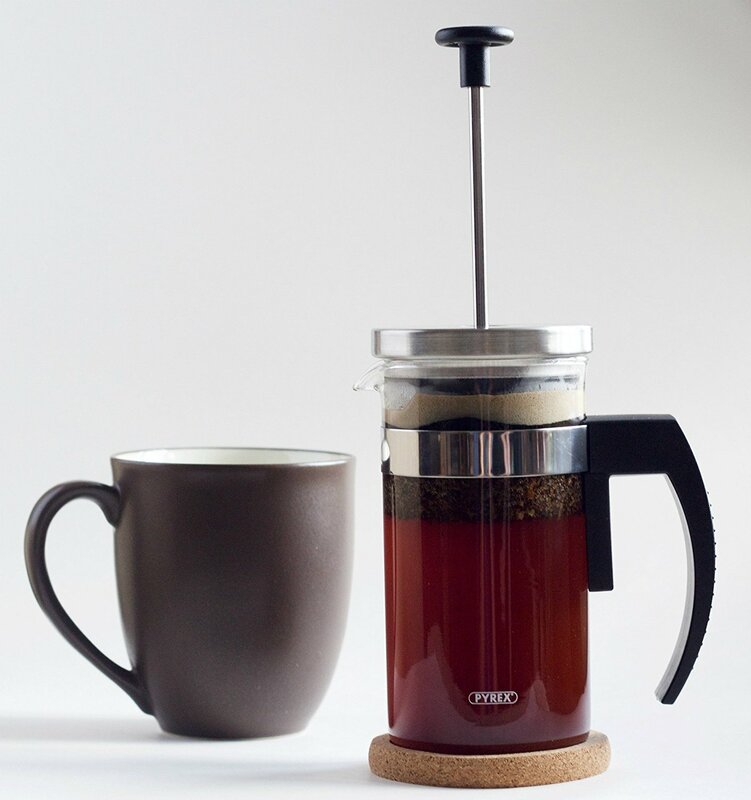 The meshed filters deliver a pure and tasty coffee cup every time. 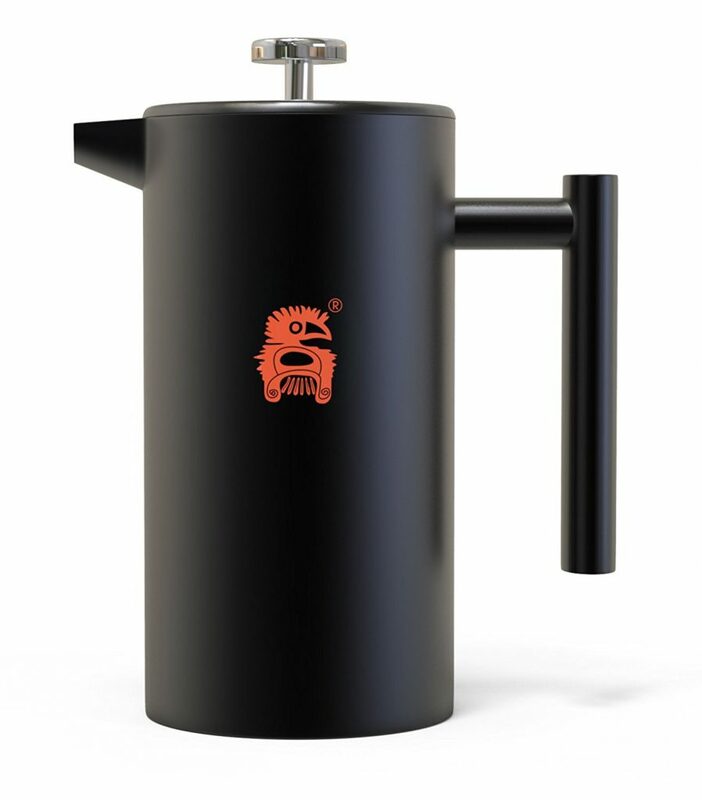 This is the french press coffee maker that our freinds from out of town had. It brews a lot of coffee 1 liter to be exact (34 ounces). 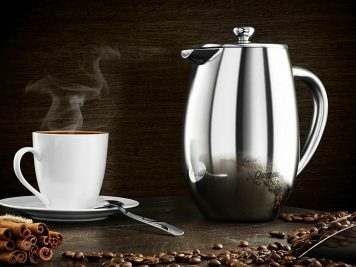 Made from top quality 18/10 stainless steel, both the interior and exterior and claims it is made to outlast other coffee makers. 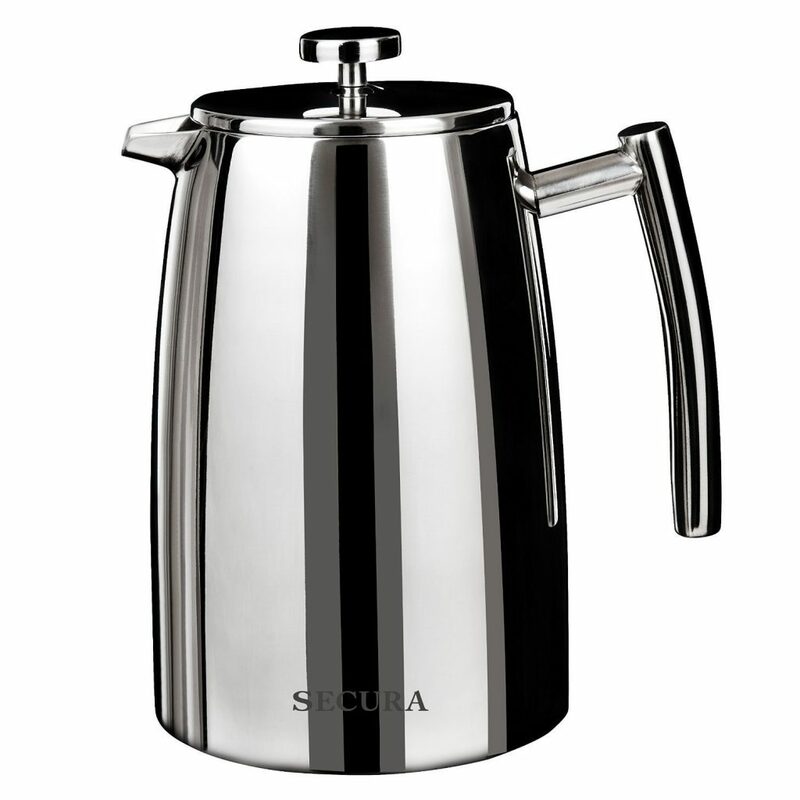 The Secura French Press has a 3-layered stainless steel filter construction, with bonus stainless steel filter. 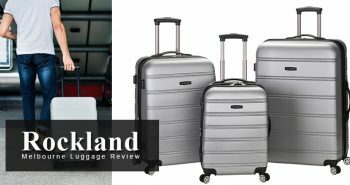 This model might be too big for just one person, but it’s ideal for a couple who will have a big cup (and a half) of coffee in the morning. 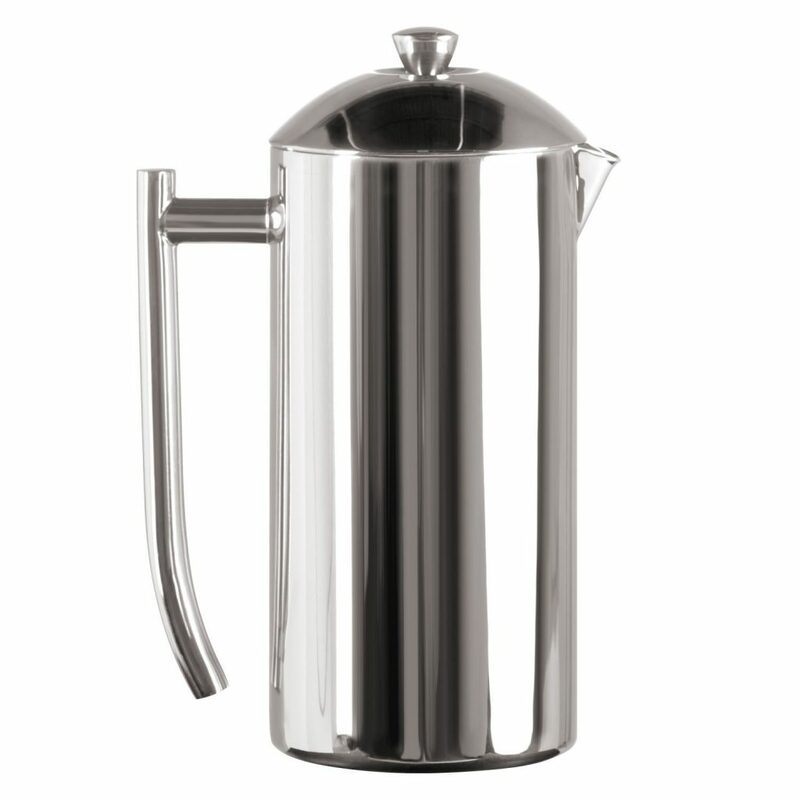 As I mentioned above, I tend to prefer a French Press coffee maker that is built more like a kettle to keep the coffee warm. This model is one of my favorites. 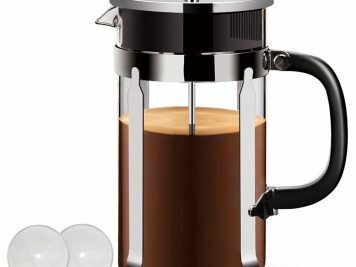 With an overall grade of 5 stars at Amazon with 200+ reviews, it’s safe to say there are a lot of people that would dub the Quiseen Double Wall one of the best french press coffee makers available. 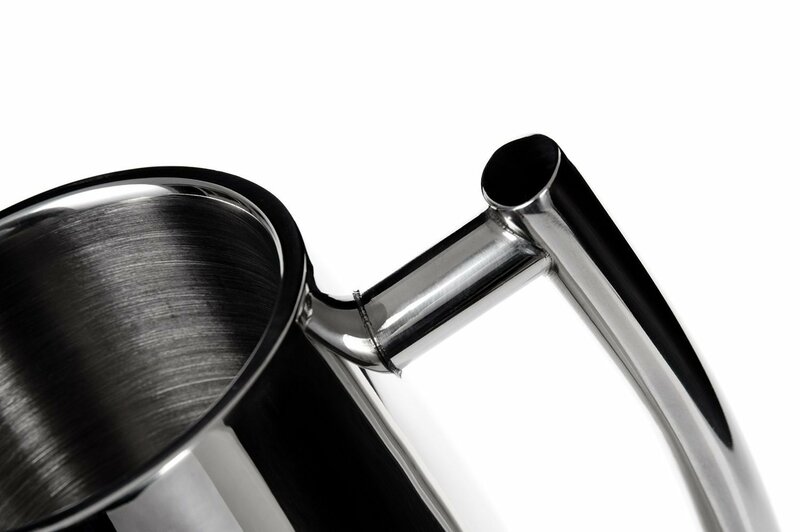 The design of the spout is what people seem to love the most. 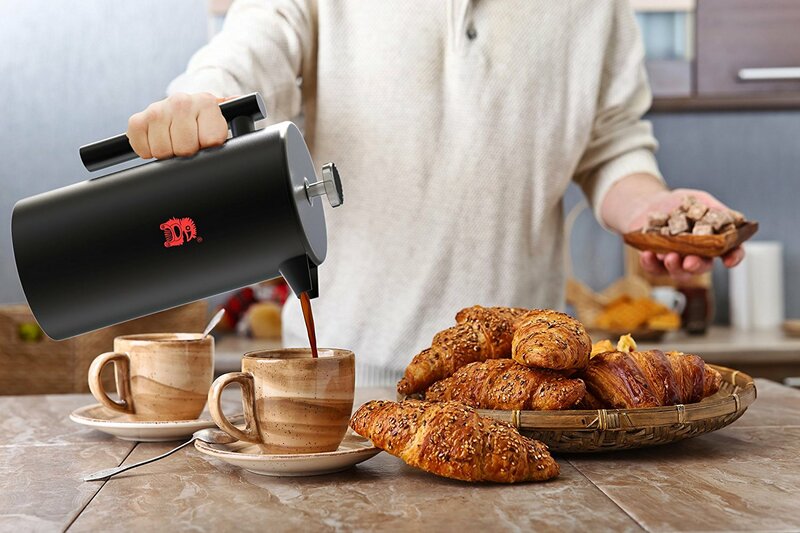 It has an air tight seal and the arrow on the lid and a large deep opening makes serving your coffee is super easy. 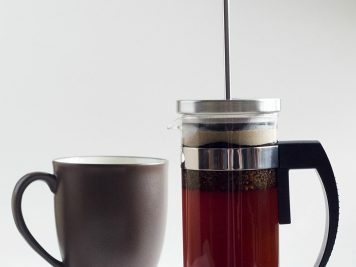 The design and feel to this French Press is very smooth yet strudy. I could see this model lasting years. 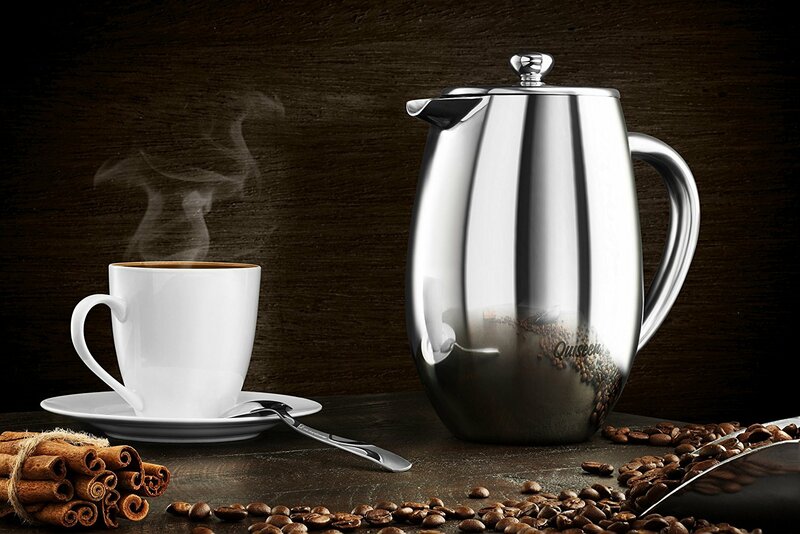 Where other coffee makers have more style or added features, the Frieling USA Double French Press focuses on what’s important, making an excellent cup of coffee. 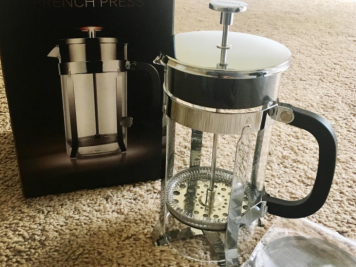 This was the French press I ended up purchasing after many hours worth of research. 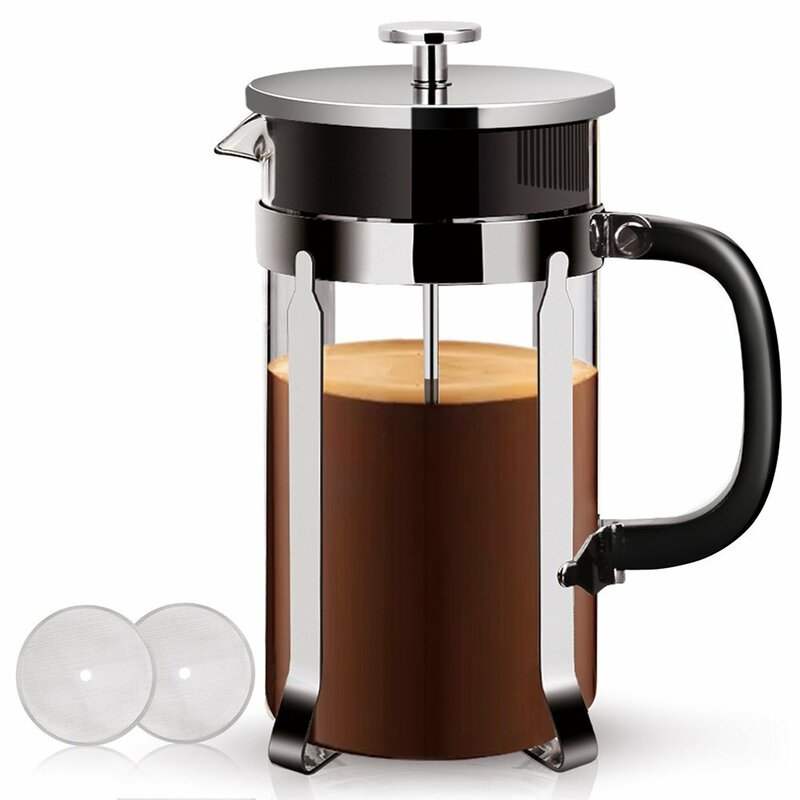 I can honestly say this is the best french press coffee maker on the market, and with over 1900+ positive reviews on Amazon, I’m not alone. 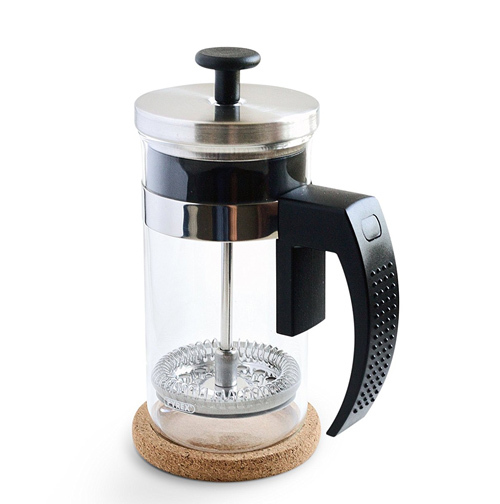 The other French Press makers on my list are all outstanding, but if you’re looking for the best of the best you can’t go wrong with Frieling. 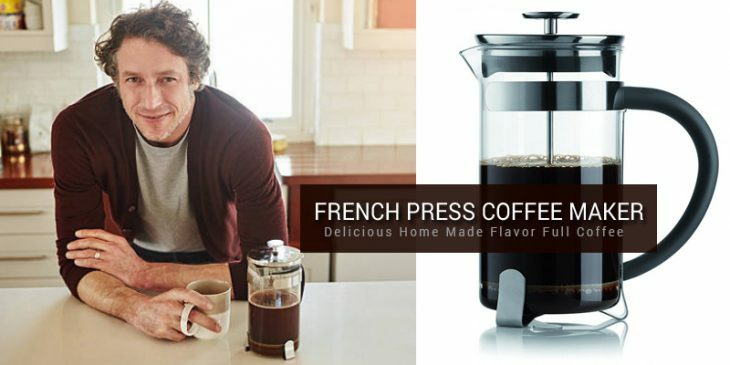 I’ll admit, this model is a little more costly than an average french press, but overall it’s an absolute bargain compared to the fancy coffee makers on the market or even just an average coffee maker of the same price. 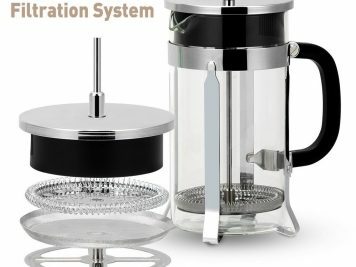 How Does A French Press Coffee Maker Work? 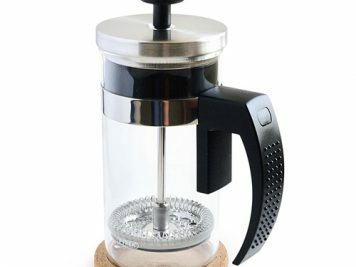 Now that you’ve narrowed down which best french press coffee maker to buy, I thought I’d include a few bonus tips and also explain how a French Press actually works for those foreign to the concept. It can seem simple, but there are some great techniques I’ve learned that I’ve like to share with anyone who is looking to pick up a French Press. 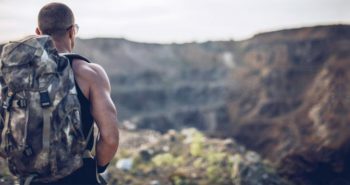 Grind The Coffee Beans: Depending on how strong you like your coffee, use coarse ground coffee that resembles sea salt in your press, and measure two tablespoons per 6 ounces of water. 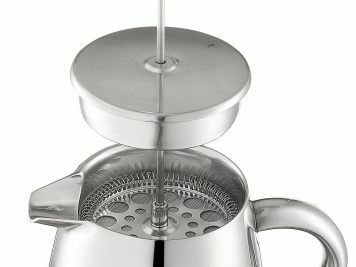 Plunge and Pour: Make sure you plunge slowly to ensure all coffee grounds are pushed to the bottom and don’t end up in your coffee. 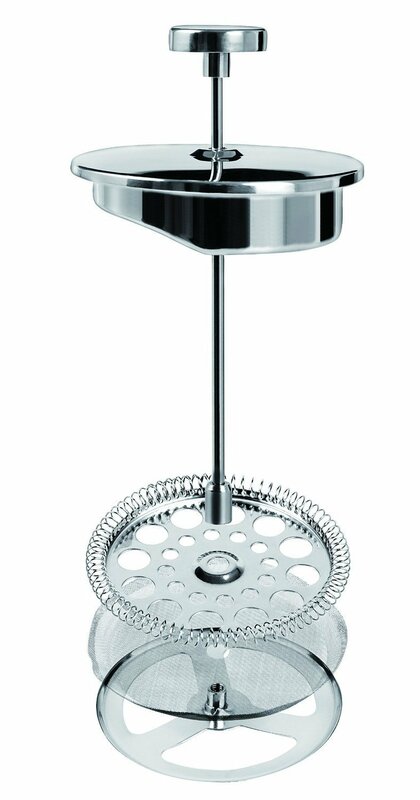 Depending on the type of French Press coffee maker you have, hold the top of the plunger as you pour. 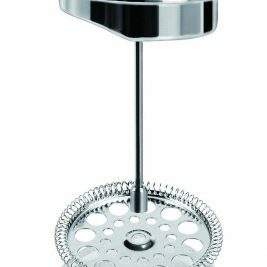 Use A Coarser Grind With A Longer Brew Time – As I mentioned above the way to enhance your coffee and get it to a flavor point that is just right for you, try different grind types with longer brew times. 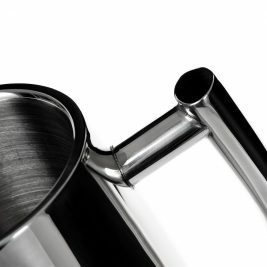 An extra coarse grind with a longer brew time can lead to really clean cups with a surprising crispness to the acidity. 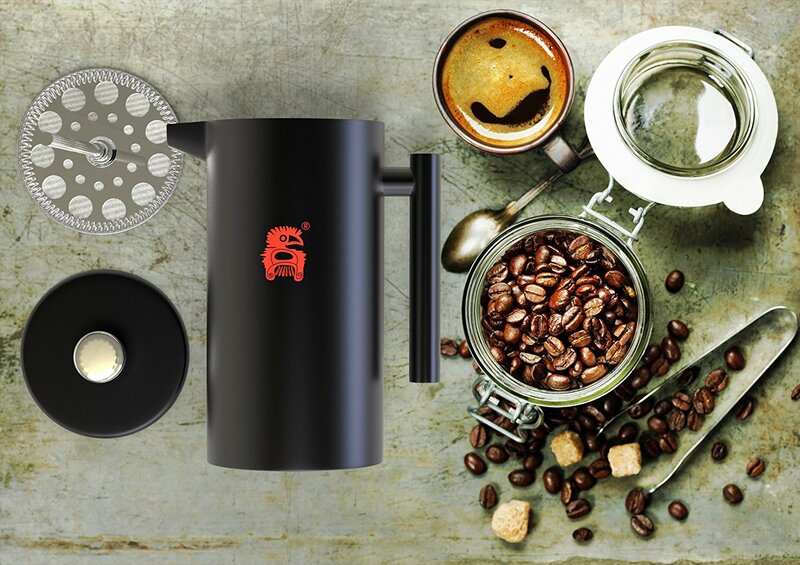 Use A High-Quality Grinder: Try not to grind the coffee too fine. 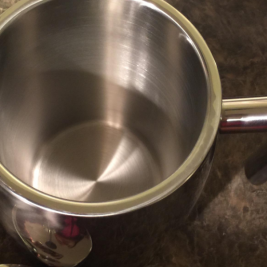 This is a common mistake when making a French Press. 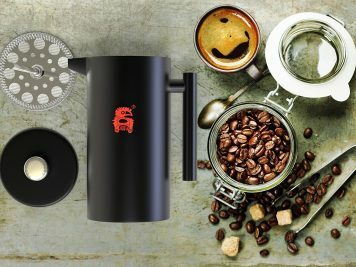 The wrong grind size is going to create a significantly more “muddy” cup as fines are able to pass through and clog your screened filter easier. Mike Patch is a blogger, SEO and runs a number of websites online. 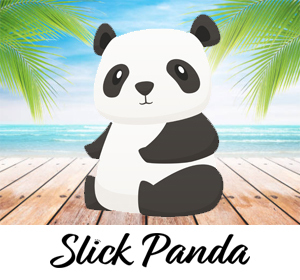 He is a writer for Slick Panda and offers help in the editing and publishing of all content. Mike is married, has two children with a third on the way. Mike is a Philadelphia Eagles fan of over 20 years.